Whether it happens from a lack of oral hygiene, an injury, or any other factor, damaging your teeth is possible to happen at any point in your life. Cracking, chipping, or losing a tooth can be extremely painful at first, and if not treated as soon as possible, it can have negative effects on your mouth and health. The perfect solution to these situations comes in the form of dental crowns and bridges. 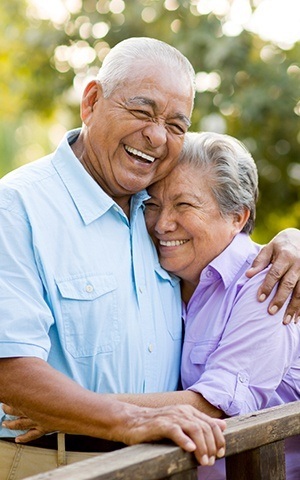 Why Choose Advanced Dental Care for Dental Crowns & Bridges? Chipped, cracked, or fractured teeth may not seem like a big issue, but over time, bacteria will begin to fill the open recesses of the tooth and start to infect the inner pulp. Infections of the pulp can ultimately result in further damage of the tooth requiring root canal therapy, or if left untreated tooth extraction. Dr. Jorgenson and his team know exactly how to remedy the situation. 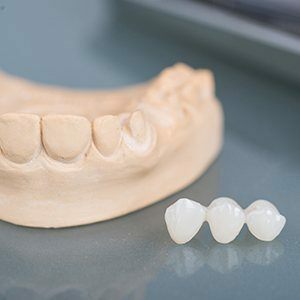 When you come in for your visit, they will make an impression of the injured area, create a mold, and fill the damaged area with a long-lasting, durable, and comfortable crown. 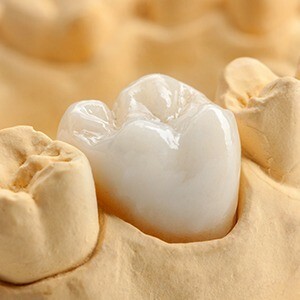 Crowns fix the damaged region, fill in the gaps, and prevent any bacteria from spreading inside of the tooth. Losing a tooth is never good. A gap in the mouth is formed, stimulation is lost between teeth and the jawbone, and a series of other problems can potentially develop. To combat this, Advanced Dental Care will restore your smile and missing tooth with a bridge. The area, now missing the tooth, will be replaced with an attractive, natural-looking false tooth. These magnificent bridges will restore function to the mouth and give you that lovely smile back.